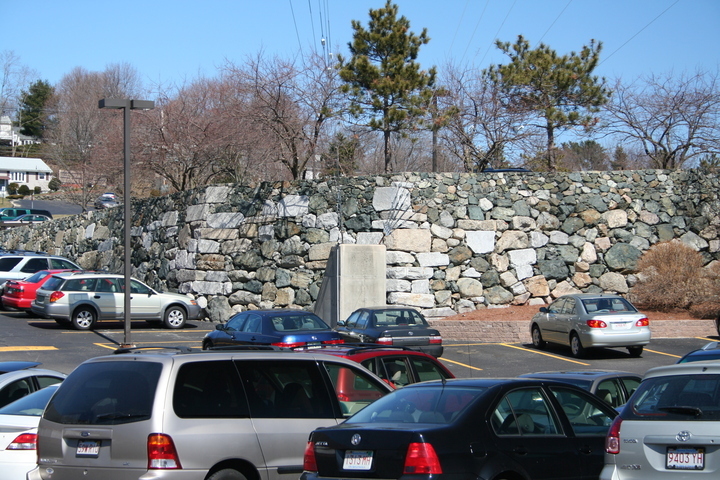 We begin in the parking lot of an office park in Waltham, at 411 Waverley Oaks Road (which is also Route 60). Looming over the parked cars are the four tall (360-foot) guyed steel towers. Two towers—I believe west and north, or #4 and #3 in the FCC's records—are anchored to this point. I'd hate to be parked here in an ice storm….